With boards, wetsuits, snorkels and everything in between, Min Jiet Yong’s Surfer & Diver Heaven is the place to go for all your surfing and diving needs. My favourite part of the facade is the upper floor, especially combination of spindled and lattice fences. I also like how the patterned tiling draws the eye to the building entrance. One the inside, the Surfer & Diver Heaven has one of the best interior store displays I’ve seen. Head over to Flickr to see more of the Surfer & Diver Heaven! Mauro Cavinato (kevin8) is sure to hit the bestseller’s list with this stunning corner bookstore! I love the harmonious colours and overall shape of this modular building, especially the smooth roundness of the ground floor and the seamless transition to the more angular upper floors. The interior is fully furnished, with the book store on the ground floor and a spacious apartment for the store owner on the upper floors. I particularly like the ladder used to reach the books on the higher shelves. 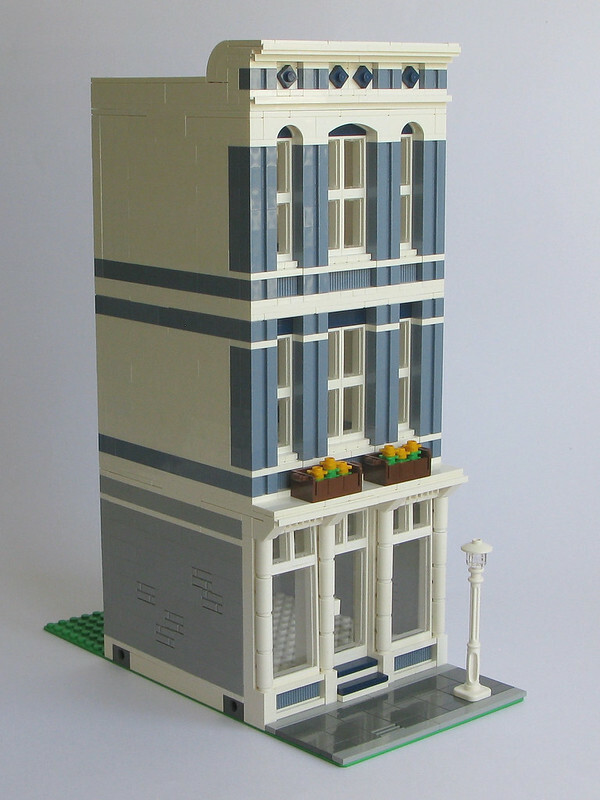 Head over to Eurobricks or flickr to see more images of this gorgeous corner bookstore.